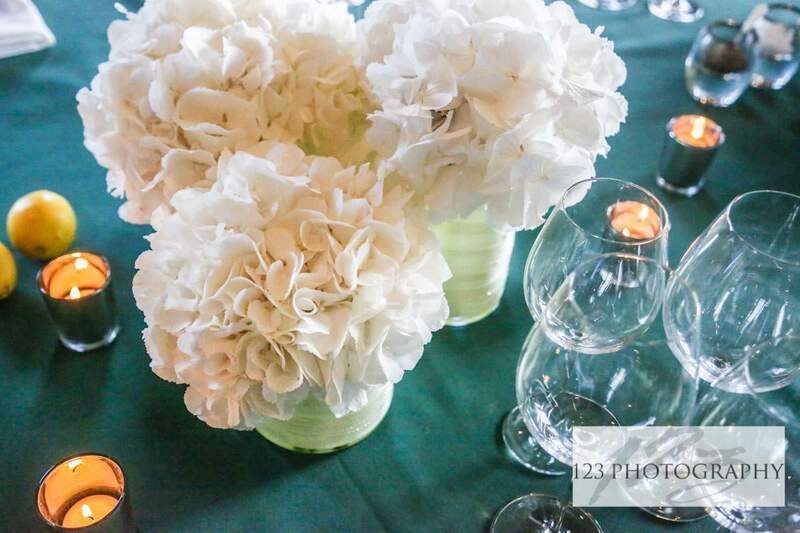 The July Ambassadors’ summer-themed dinner was a celebration of Andy Murray’s Wimbledon win. 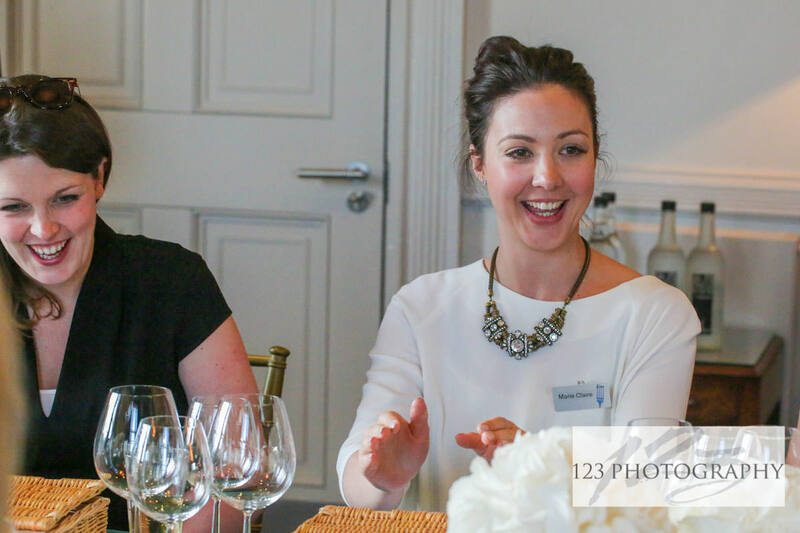 We invited guest to enjoy the ‘Dine’ take on a traditional picnic hamper – a magical evening! The halls of The Mansion were buzzing in preparation for last week’s summer-themed Ambassadors’ dinner. 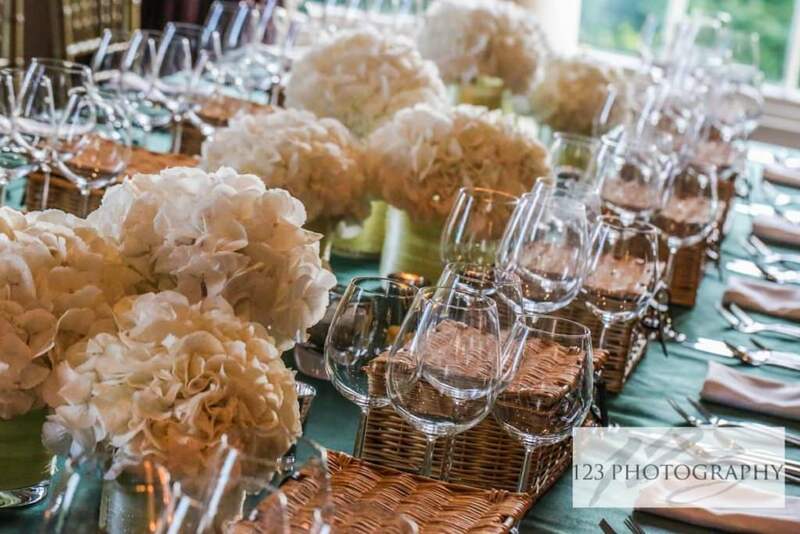 With a nod to Andy Murray’s recent Wimbledon victory, the table was dressed with a vibrant green table cloth, lemons and crisp white hydrangea. At 7pm guests started to arrive. 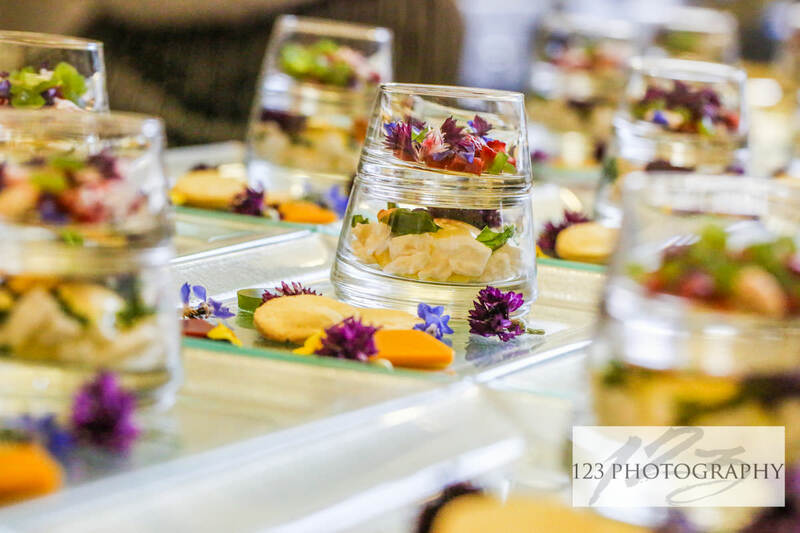 With champagne flowing and trays of delicious Canapés making their way out of the kitchen on a variety of display-ware, the evening was in full swing. My favourite canapé was the Rarebit Beignet with herb crumb, which tied in nicely with the Wimbledon theme because they looked like tiny tennis balls. 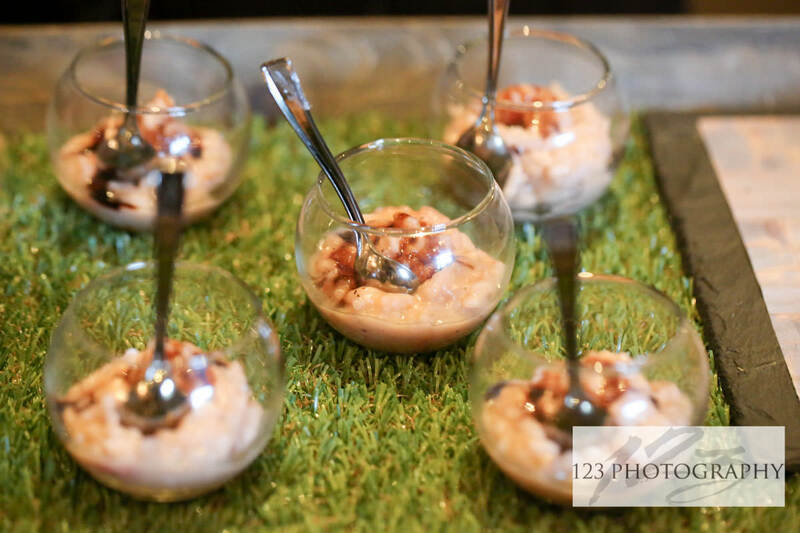 A close second was the strawberry risotto with balsamic. 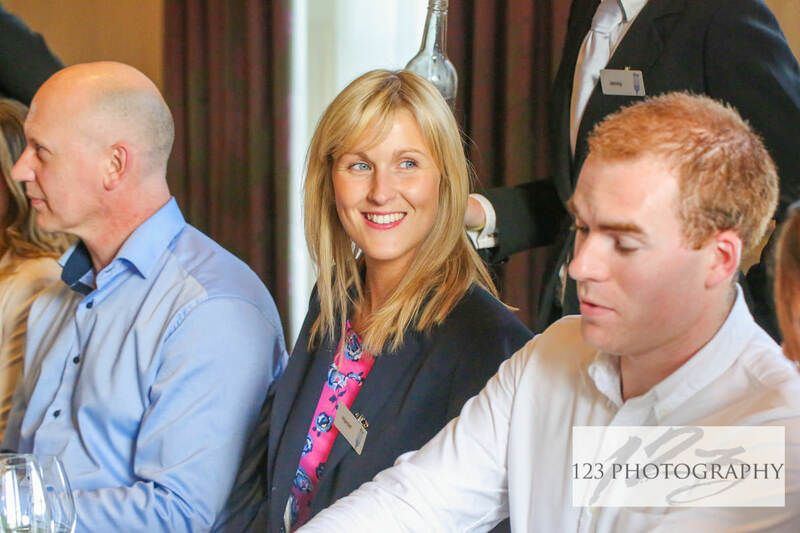 We welcomed guests from all walks of business; including members of the team from 22 street lane nursery, press and PR agents, amazing magician Sam Fitton and some members of the team from Endless, to name a few. At 7:45 we were invited to make our way up to The Fountain room – I had butterflies, having been briefed earlier in the day on what we were going to be eating. The mini picnic hampers were already laid out on the table, but we were under explicit instruction that nobody open the hampers until main course arrived. We were giggling like naughty school children trying to sneak a peek at what was inside. To start we had bloody mary gazpacho with celery foam, potted Whitby shrimp under a layer of tomato and lime gel. The Gazpacho was placed on the table with the usual Dine flourish. 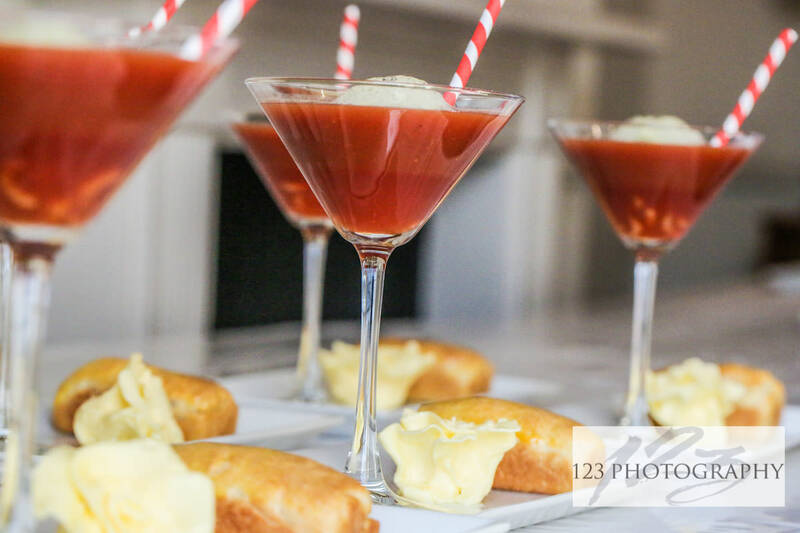 We all enjoyed drinking the gazpacho through our stripey straws, unveiling the potted shrimp which was under a layer of tomato gel, which we ate with a tea spoon. Provoking nostalgia of being at the seaside, eating a Cornetto ice-cream and finding the chocolate treat at the bottom. 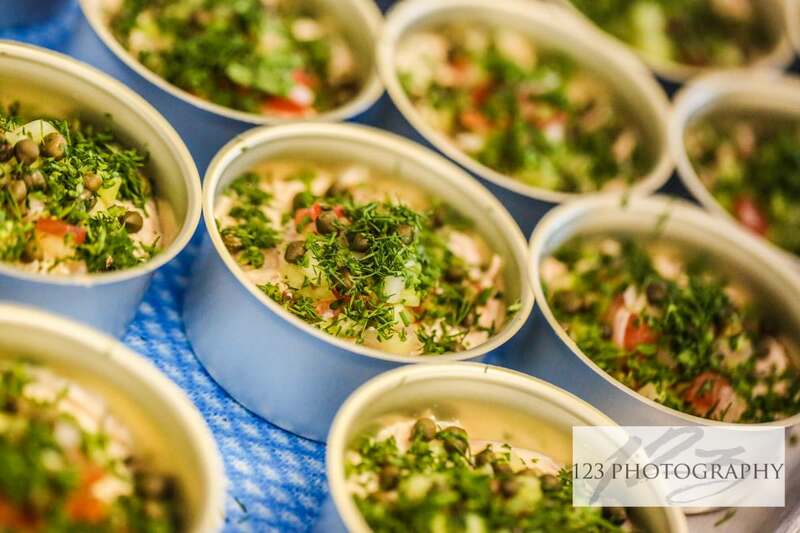 We lifted the lids of our hampers to find potted oak roast salmon tinned in-house by our chefs into our very own Dine branded tins, an egg shell filled with hollandaise (delicious!!) with asparagus for dipping and a English heritage tomato and beetroot salad. 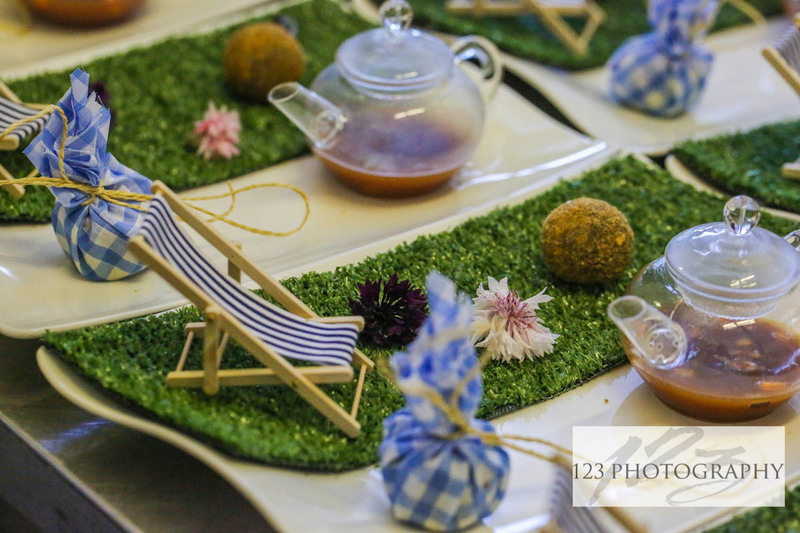 This was accompanied by black pudding scotch quails egg, mini chicken and brunoise cut vegetable pie wrapped in gingham fabric and thyme Jus served in a miniature glass teapot – which all arrived on a plate lined with faux grass and a small deck chair. A picnic scene on a plate! 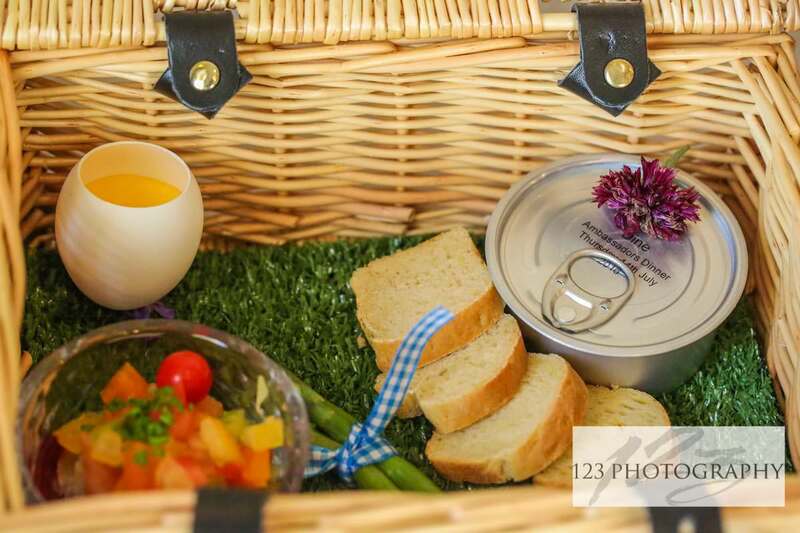 The styling of this dish was fantastic and the flavours were really fresh, a great twist on the traditional summer picnic hamper. Finally, for dessert we had an interpretation of the traditional strawberries and cream served in vertigo bowls. Pimms was poured from glass tea pots into the top layer of Summer Berries and Edible Flowers. The bottom layer contained an orange and saffron panna cotta surrounded by Strasberries (yes, strasberries!! ), pineberries and meringue. On the dish underneath, there were lemon and lavender shortbread, with mint, mango and strawberry jellies. This dish was packed with tons of vibrant colour, with a great balance of interesting flavours and textures. Towards the end of the evening whilst coffee was being served, Sam jumped up and performed some magic for us – a great way to end an evening of fun food and fabulous company. The Ambassadors dinners are a forum for us to showcase innovation and trial new menus. It’s a great way to get people engaged with our product, but also for us to get some honest feedback from a captive audience.